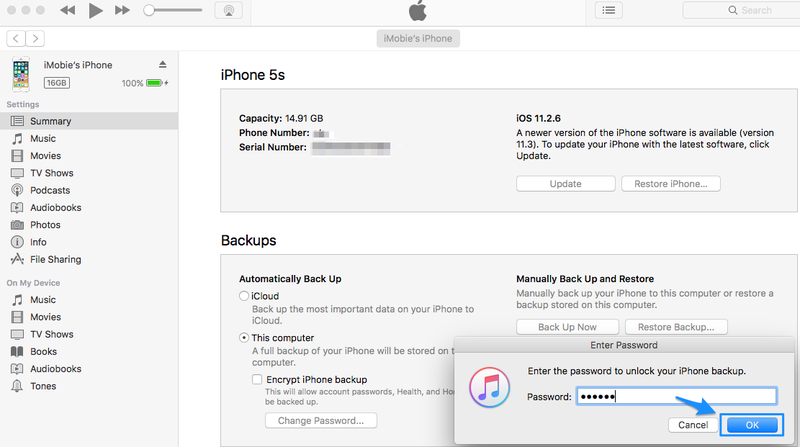 How to Remove Encrypted iPhone Backup Option in iTunes? How to Remove Encrypted iPhone Backup in iTunes? Since Apple values user's privacy, it won't let iMobie product detect user's encrypted backup. There are three influenced iMobie products: AnyTrans for iOS, PhoneClean and PhoneRescue fo iOS. Thus, customers will fail to finish backup process when using these products. 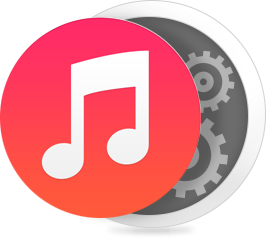 To fix this issue, you can turn off iTunes backup encryption option temporally. Well, how to uncheck encrypt local backup on iTunes? 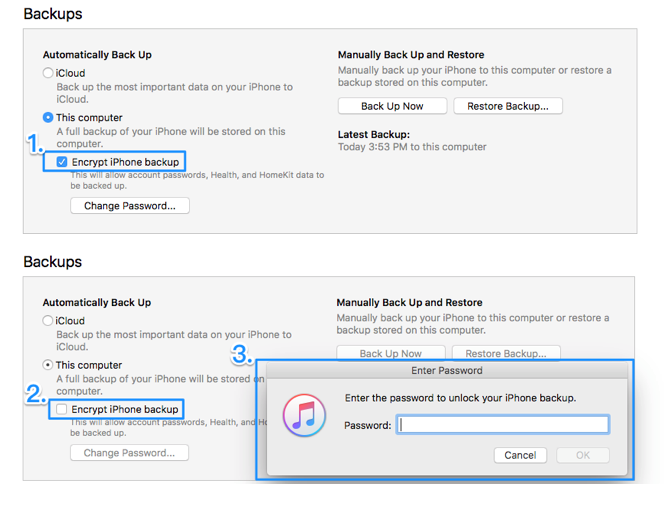 Please refer to detailed instructions to remove encrypted backup option in iTunes. Step 1: Connect your iOS device to computer and open iTunes. 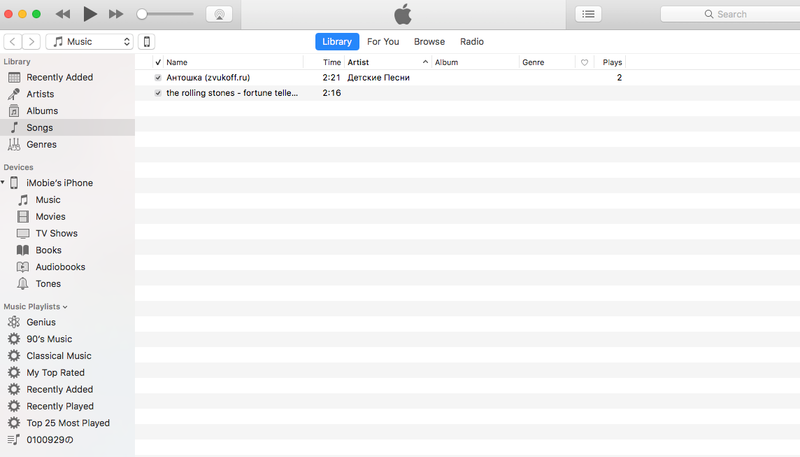 Step 2: Click your device icon in the interface of iTunes. Step 3: Uncheck Encrypt local Backup option and then you will see a pop-up box. Step 4: Enter the password to unlock your iPhone backup and click on OK. Note: If you unfortunately forgot your iTunes backup password, you will fail to uncheck your encrypt backup option in iTunes. Please try all possible passwords or turn to some iTunes backup password unlocker software to get it back. Step 5: After that, iTunes will backup your device once again. 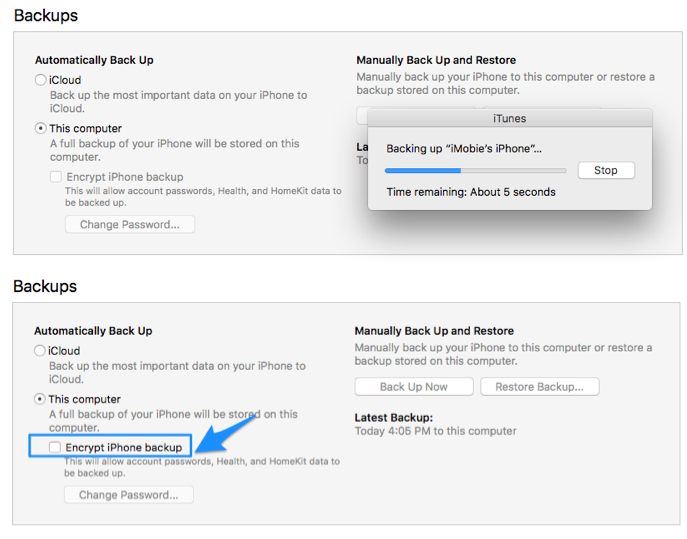 Then you’ll see the option of “Encrypt iPhone Backup” is unchecked when the backing up process is finished. +1Yes+1NoYou have given a feedback, thank you.